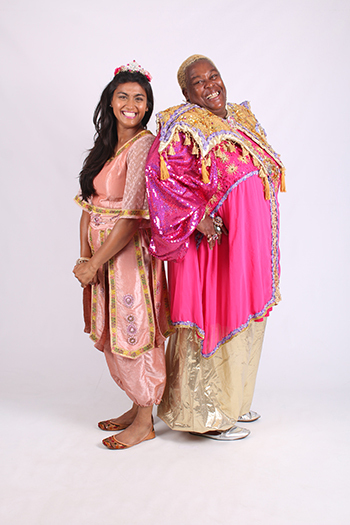 Following the re-launch of The Pearce Suite Theatre at Magnet Leisure Centre, Q Productions is delighted to be bringing Maidenhead its first fully-produced professional pantomime with the much-loved family favourite, ALADDIN, which will be packed full of side-splitting comedy, stunning special effects and lavish costumes. Sandra Martin, who will play the Spirit of the Ring, is much-loved by television audiences for her charismatic appearances on Channel 4’s BAFTA-winning reality series Gogglebox. Since joining Gogglebox in 2013, Sandra has built up a wide following on social media and is known for her big personality and contagious laugh.